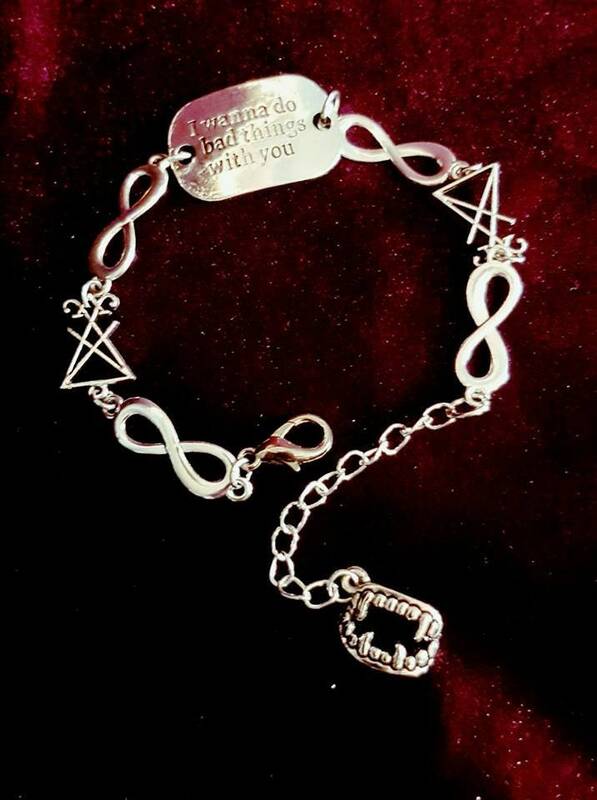 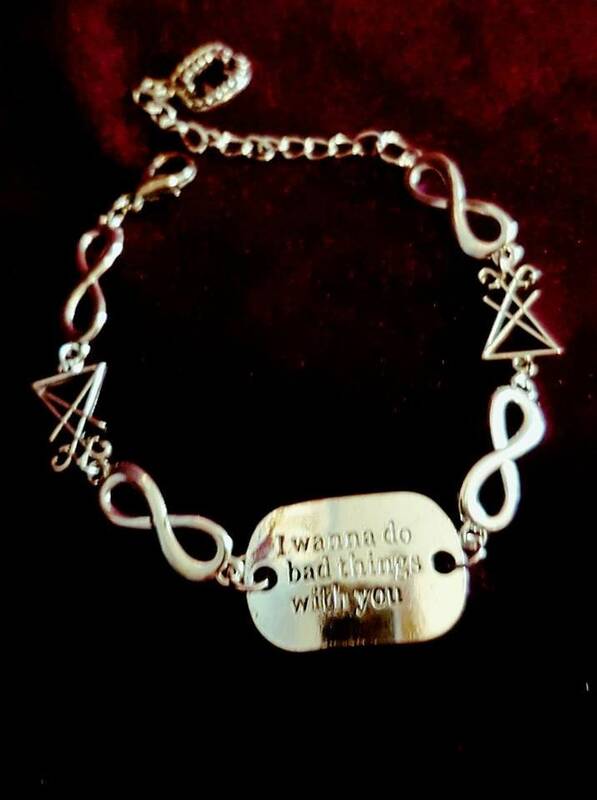 I Wanna Do Bad Things With You Bracelet. 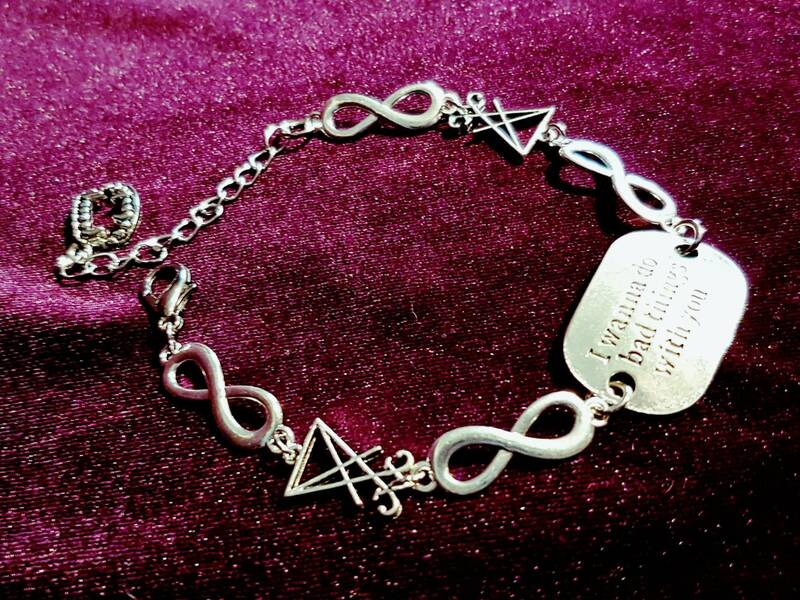 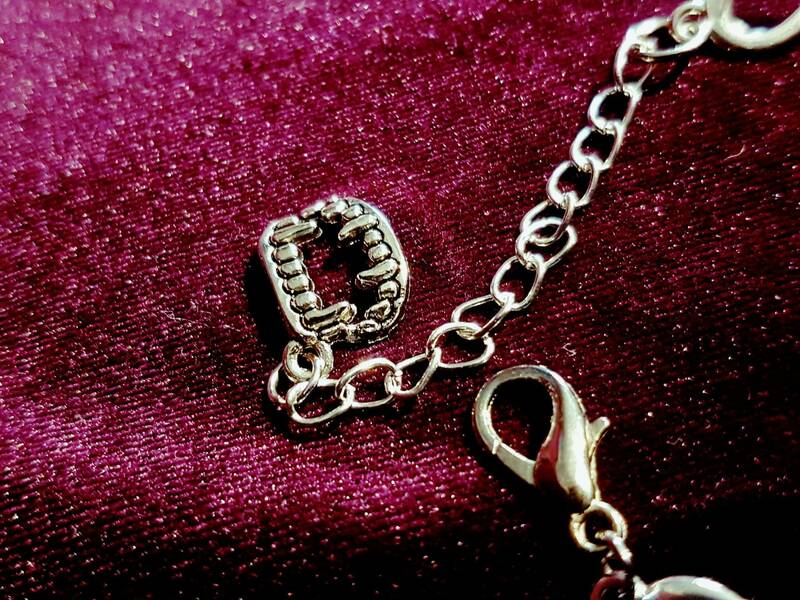 - 20.5cm long bracelet, adjustable up to 27cm with extension chain. 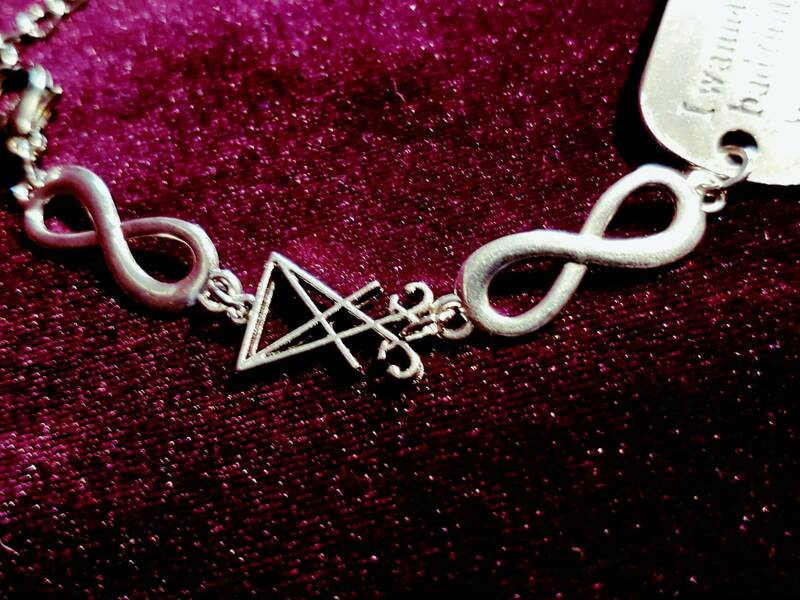 - Two of Sigil of Lucifer pieces. 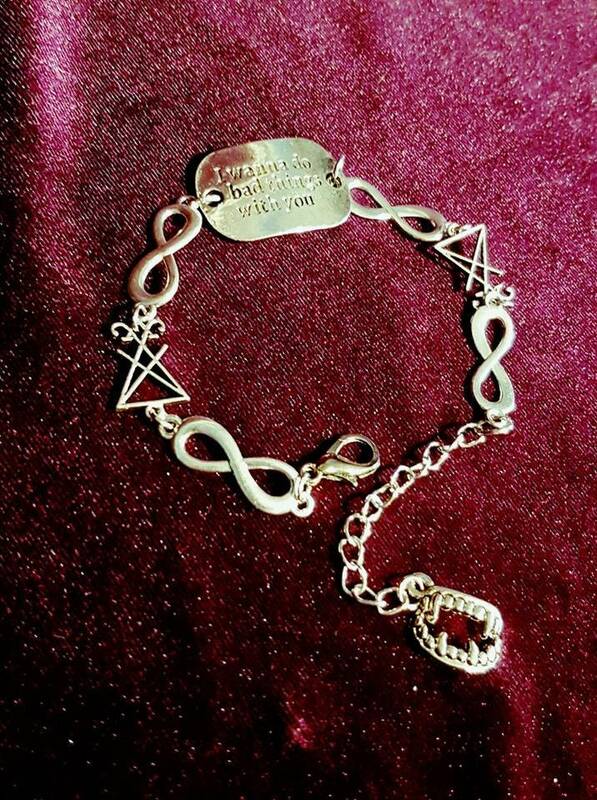 - " I wanna do bad thing with you " engraved on a metallic plate. 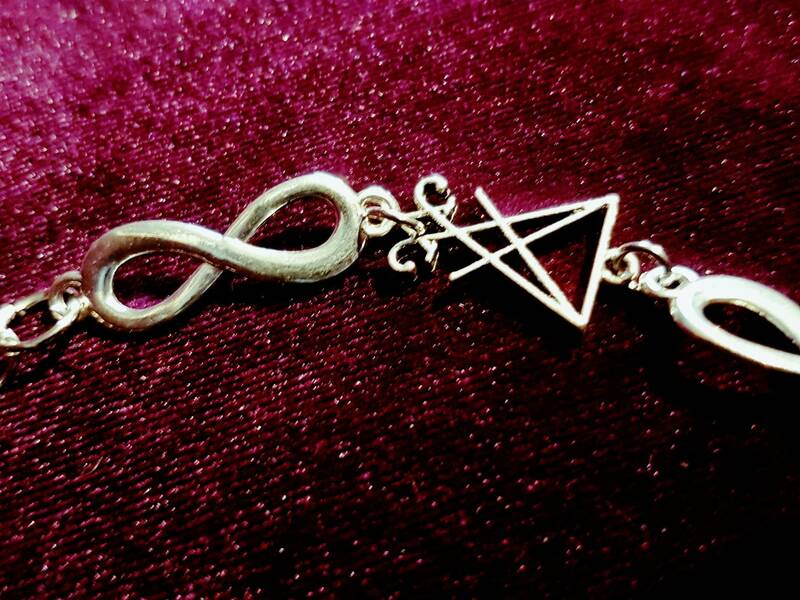 - Vampire fangs at the end of the extension chain.